Former India captain Sourav Ganguly will return as Kolkata Knight Riders' skipper for next year's Indian Premier League, replacing New Zealand's Brendon McCullum. 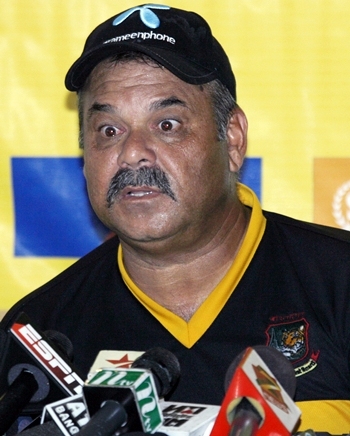 The controversy-ridden IPL outfit, which finished at the bottom of the table this year, also named Dav Whatmore as its new coach, with Delhi Ranji coach Vijay Dahiya his deputy. Pakistani pace legend Wasim Akram was appointed the team's mentor. KKR is looking forward to an exciting and successful season ahead with the new appointments and strategies in place. I am excited at the prospect of working with Dav and the entire team closely in addition to playing at our home ground once again," Ganguly said. Insisting that Ganguly's position as captain is not merely ceremonial, the outfit said the former India skipper would be the "key driving force" who would "shape the cricket team" and "would be responsible for all cricket-related decisions with regards to the 2010 season". After leading the team in the inaugural IPL, Ganguly fell out with the then coach, John Buchanan, who first mooted the 'multi-captaincy' idea, which did not find favour with the management. Hailing Whatmore's appointment, KKR co-owner Jay Mehta said, "Dav has the right vision not only for the team, but for each of the players, and for the franchise as a whole. He is very aware of our current position in IPL and knows that there is only one way to go now -- up." "I am optimistic about the season ahead and have the utmost faith in Sourav, the team, and KKR Management and look forward to a successful tournament. I will be working closely with the team to continue building KKR into a successful franchise both on and off field," said the former Australia cricketer, who was coach of Sri Lanka, when they won the World Cup in 1996, and Bangladesh. 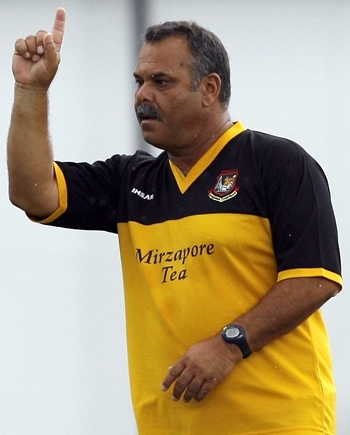 Whatmore recently quit as Director of Operations at the National Cricket Academy (NCA) in Bangalore.